"Under raging stormclouds, a lone figure stands silhouetted against the ancient walls of castle Ravenloft. Count Strahd von Zarovich stares down a sheer cliff at the village below. A cold, bitter wind spins dead leaves around him, billowing his cape in the darkness. Lightning splits the clouds overhead, casting stark white light across him. Strahd turns to the sky, revealing the angular muscles of his face and hands. He has a look of power - and of madness. His once-handsome face is contorted by a tragedy darker than the night itself. Rumbling thunder pounds the castle spires. 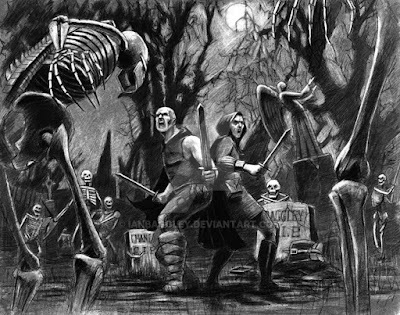 The wind's howling increases as Strahd turns his gaze back to the village. Far below, yet not beyond his keen eyesight, a party of adventurers has just entered his domain. Strahd's face forms a twisted smile as his dark plan unfolds. He knew they were coming, and he knows why they came - all according to his plan. He, the master of Ravenloft, will attend to them. Another lightning flash rips through the darkness, its thunder echoing through the castle's towers. But Strahd is gone. Only the howling of the wind - or perhaps a lone wolf - fills the midnight air. The master of Ravenloft is having guests for dinner. And you are invited." 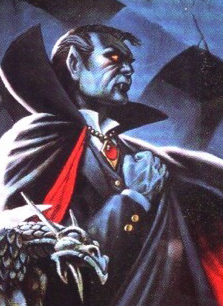 I've been doing another thought excercise today about I6 Ravenloft module, this is one of my all time favorites. 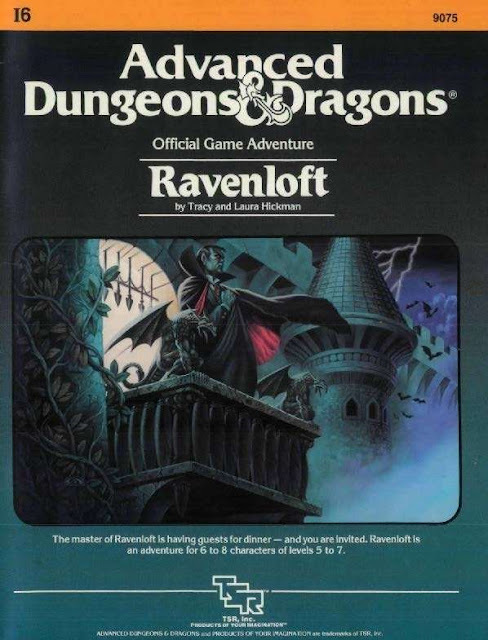 "I6: "Ravenloft," by Tracy and Laura Hickman, is the sixth module in the long-running Intermediate series of adventures for AD&D. It was released in October 1983." Alright so I've seen the module described as an Advanced Dungeons & Dragons fantasy adventure with the trappings of a Gothic horror novel. So right off this isn't going to suit my purposes at all if I was running this adventure with a Swords & Sorcery retroclone like Astonishing Swordsmen & Sorcerers of Hyperborea Second edition. The answer for this might surprise you. Instead of merely relying on the huge glut of Gothic horror that exists in support of the Ravenloft setting we're going to strip this adventure down into its components & parts. When you start looking at I6 in its structure & at its heart your left with one vampire at its center Count Strahd von Zarovich. Everything revolves around him & at his earliest he's the spoke around which everything revolves him & his murder of his brother. Not to mention the forbidden object of his misbegotten insanity & love Tatyana. Barovia is supposedly a stand in for Transylvania from a million horror films & the novel Dracula by Bram Stoker. But if we look into the more modern pulpy Sword & Sorcery titles of yesteryear we see that same dark reflection of Stoker's Dracula's female facsimile staring back from the black pit of Hell. In Robert Howard's Conan series novel 'Hour of the Dragon' we've got Akivasha a Stygian princess from more than 10000 years before Conan's time. So does this mean that we change Strahd von Zarovich? Not at all instead we place Barovia, seamlessly onto an island continent of Poseidonis. Already I can hear the hisses,boos, and myriad cat spitting of the Ravenloft setting fans & Advanced Dungeons & Dragons 1st & 2nd edition dungeon masters. Hear me out before you stake me out for the Sun. "Poseidonis" is an imagined last remnant of the lost continent of Atlantis, mentioned by Algernon Blackwood in his short story, Sand (published in 1912), in his story collection, Four Weird Tales, and is also detailed in a series of short stories by Clark Ashton Smith. " Numerous vampires,werewolves, witches,etc. 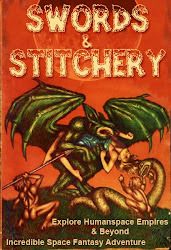 all appeared in the Lovecraft circle of writers stories, novellas, pulps,etc. many of which were connected with Atlantis. Not to mention that the classic era Marvel of the 70's gave their vampires an origin connected with the Necro ermm Darkhold & Atlantis. 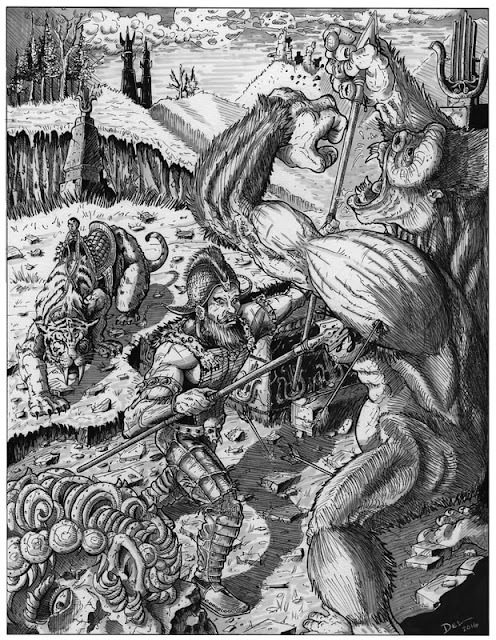 Poseidonis is also the setting for numerous tales of necromancy, black magick, & weirdness of Clark Ashton Smith. How does this all relate to AS&SH second edition? Many of the monsters featured in I6 such as the rust monsters, baby red dragons,werewolves, etc. all have their own analogies in AS&SH already. 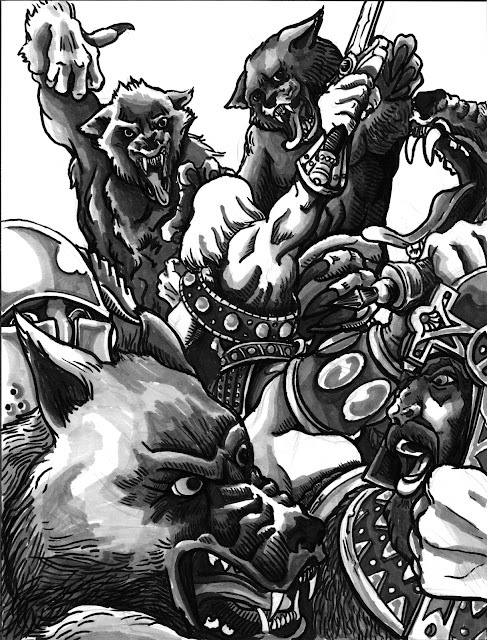 But its the Huntsmen a PC class specializing in hunting werewolves that really brings it home for me. Not only do you have a campaign setting where you've got a class who hunts werewolves but a world where the bloated red sun doesn't shine for six months! Suppose that "Poseidonis"'s Barovia is a doomed & cursed land with its very tragic events unfolding around a dim & dire sinking land. The mists draw the Boreas wind crossed PC's into the fold & things go weirdly as the numerous agendas and motives of Strahd play out. Strahd von Zarovich is an unhinged evil of the highest order that has to be put down lest his infection of vampirism spread. But does that end the evil plaguing the land? Not at all, there are still strange monsters, challenges, & the fact that Strahd von Zarovich will be back! In fact I've played in a game where Strahd is dead but we explored the castle without him. In the best Hammer tradition there were others taking his place! A cult had arise around his almost god like undead reputation. With the "Fortunes of Ravenloft." bit a "gypsy card reading" that determines where several things are located in Castle Ravenloft the DM could in fact influence the motives for other stand in villains as well as the count himself. 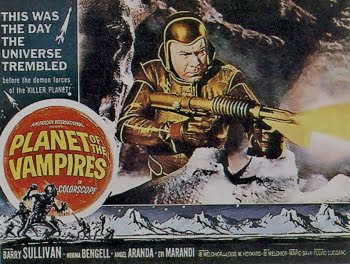 This is done in the best Hammer & Universal Pictures tradition. So why put I6 on "Poseidonis? Because once the adventure plays out then its evil can sink under the waves never to be heard from again. Or it can become a place that once in a while the PC's might visit if the mists of the adventure allow them. 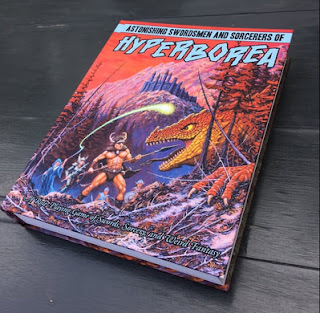 The real question becomes what other menaces might make the journey across time & space to the shores of Hyperborea to truly menace the PC's after they've killed the count & ended his evil? Don't forget that I mentioned that Hyperborea has a cycle of months without sunlight? The perfect time for vampires and undead to be active for twenty four hours or more.